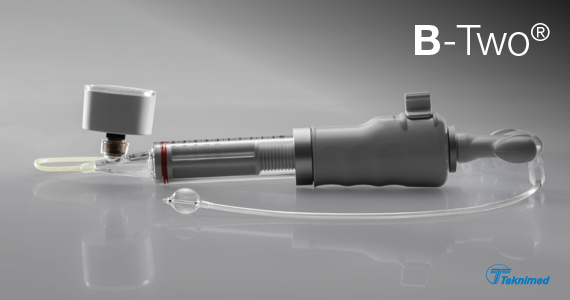 B-Two® Vertebral Balloon Expand is a complete and ergonomic kit to perform a kyphoplasty procedure. It helps to restore vertebral body height lost resulting from the compression fracture. • Two wire-pins which are used like an instrument guide. • One cannula & expander in order to make the vertebral access. • One spacer to perfectly drill the spongy part of the vertebra. • One balloon catheter available in 3 sizes to create the cavity into the vertebral body. • Three cement pushers & fillers which allow a filling up to 6cc.